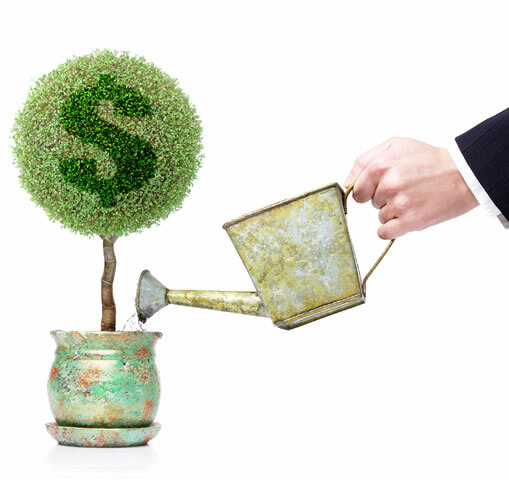 When deciding where to invest money online, commissions are often a deciding factor. SogoTrade's current commission rate is only $4.88 per trade* which makes investing online very affordable for all types of investors. 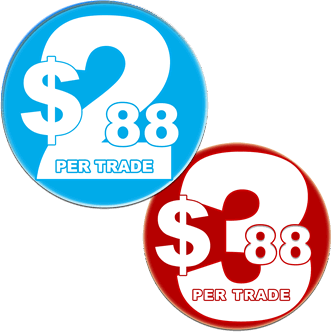 Even better, with SogoTrade's Prepaid Packages, you can lower your stock or options base commission rate to just $3.88 or even $2.88 per trade! $3.88 or $2.88 PER TRADE! SogoTrade offers prepaid commission packages you can purchase in advance of placing your order so that you can enjoy an even lower stock commission rate or options ticket charge. The packages are available in quantities of 20 and 50 prepaid trades and are good for one year. You can purchase as many packages as you wish! 1. Log in to your SogoTrade account. Account Profile > Prepaid Packages. Once you have purchased your prepaid package, SogoTrade will deduct the amount from the cash balance in your SogoTrade account. The package is valid for one year from the date of your purchase. Note: Prepaid trades are applicable toward orders entered after the prepaid trades have been purchased. Prepaid trades are applicable toward the base commission rate of a stock trade (surcharge still applies when trading stock priced <$1.00). Prepaid trades are also applicable toward the base commission rate (ticket charge) of an option trade. A prepaid trade is assigned to a specific order and cannot be reassigned until that order is either cancelled or expired. * For clients who have 50 or more trades per month, they automatically receive $2.88 commission per trade. The number of trades is calculated on a three-month moving average. ** Prices for competitors were obtained on Spe 12, 2017 and are believed to be accurate, but not guaranteed. Some of the firms listed above may reduce or waive commissions or fees, depending on account activity or total account value. Mutual fund information is believed to be accurate as of the acquisition date -July 26, 2012. SogoTrade, Inc. is authorized to charge the cost of this prepaid trade credit from the cash balance in your account. The prepaid trade is not refundable or transferable even if the account is closed or transferred. The prepaid credit may be used for stock trades (surcharge still applies when trading stocks priced < $1.00) and to cover the base commission rate (ticket charge) of an options trade. It cannot be used to pay any other account fees or charges, and it will not be part of your account balance. Each trade credit is valid for 365 days after it is purchased. This prepaid credit option is not available for IRA accounts.When a prepaid trade executes, the trade confirmation will display the commission charge as $0.00. Therefore, $0.00 commission will be reported on the IRS Form 1099. In addition, the prepaid package cost will not be reported on the IRS Form 1099. SogoTrade Inc. does not offer tax advice. Please consult with your tax specialist as to the potential tax deductibility of this non-refundable prepaid package expense. You can click on View All Prepaid History within our Prepaid Package Center to determine how many packages were purchased and used over the course of the tax year.